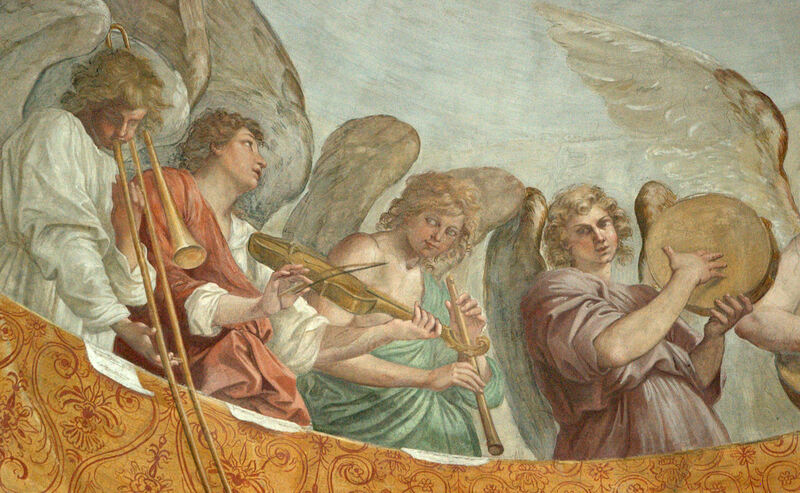 Today I added the below image/caption to the Trombone History Timeline (17th century, 2nd half). This one gets a panel to itself! Special thanks to Audrey Christensen Manganaro for alerting me to the image and for the photo itself. 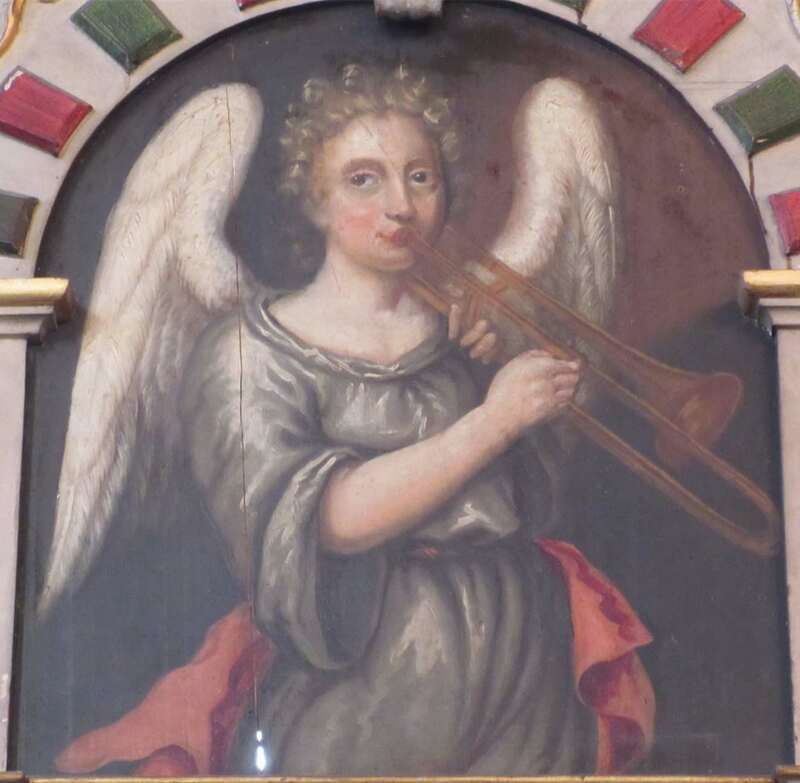 c. 1700—Hof, Germany: An organ loft panel in Hospitalkirche, painted by Heinrich Andreas Lohe, features an angel-trombonist (see below image; public domain) (special thanks to Audrey Christensen Manganaro).